Gund - My First Dolly Plush Doll - 13 My First Dolly plush doll. 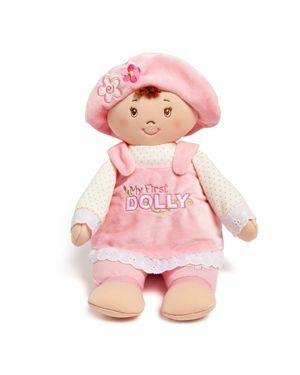 A squeezably soft plush dolly that's wearing a cute jumper and matching hat. Embroidered with My First Dolly on front. Pillow not included.